The U.S. 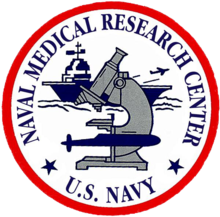 Naval Medical Research Unit-No. 3 (NAMRU-3), which was established in 1946, conducts research and surveillance to support military personnel deployed to Africa, the Middle East, and Southwest Asia. The mission also includes the evaluation of vaccines, therapeutic agents, diagnostic assays, and vector control measures. NAMRU-3 has modern research laboratories and a medical research library. It is the only laboratory in Africa with an animal facility accredited by the American Association of Accreditation of Laboratory Animal Care. It is the largest DOD overseas laboratory, with bio-safety level 3 bio-containment space and field and hospital study sites located throughout Egypt. A malaria field site is located in the upper east region of northern Ghana. Our primary mission is to study, monitor, and detect emerging and re-emerging infectious disease threats of military and public-health importance; develop mitigation strategies against these threats in partnership with host nations, international and U.S. agencies in the CENTCOM, EUCOM, and AFRICOM areas of responsibility.